Be the first to review this Tour! A Buddhist temple complex that was once one of the powerful Seven Great Temples. Its Great Buddha Hall houses the world's largest bronze statue of the Buddha Vairocana, known in Japanese as Daibutsu. 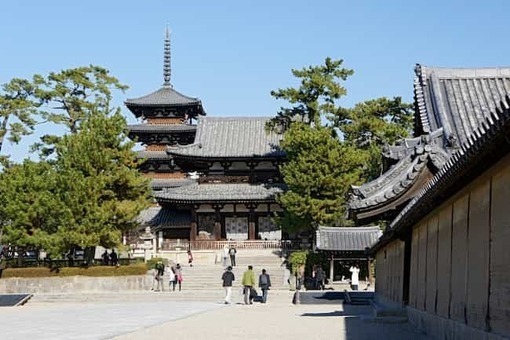 The temple is a listed UNESCO World Heritage Site as one of the "Historic Monuments of Ancient Nara". Shinto shrine established in 768 CE. The interior is famous for its many bronze lanterns, as well as the many stone lanterns that lead up the shrine. 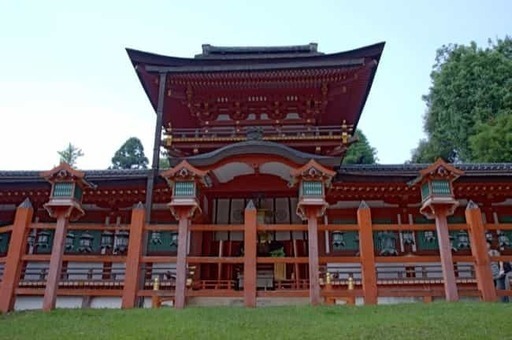 Kasuga Shrine, and the Kasugayama Primeval Forest near it, are registered as a UNESCO World Heritage Site as part of the "Historic Monuments of Ancient Nara"
Buddhist temple that was once one of the powerful Seven Great Temples. 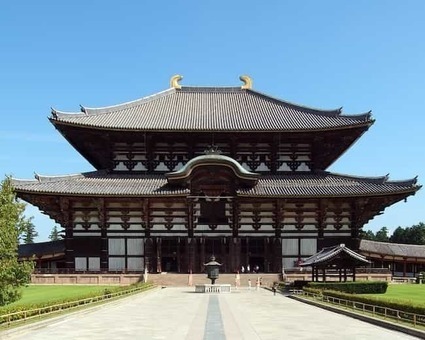 The temple is the national headquarters of the Hossō school and is one of the eight Historic Monuments of Ancient Nara inscribed on the UNESCO World Heritage List. Nara Park is a public park located in the city of Nara, Japan, at the foot of Mount Wakakusa. Established in 1880 it is one of the oldest parks in Japan. Administratively, the park is under the control of Nara Prefecture. Heijō Palace was the imperial residence in the Japanese capital city Heijō-kyō, during most of the Nara period. Hōryū-ji is a Buddhist temple that was once one of the powerful Seven Great Temples, in Ikaruga, Nara Prefecture, Japan. Its full name is Hōryū Gakumonji, or Learning Temple of the Flourishing Law, the complex serving as both a seminary and monastery. Osaka Castle is a Japanese castle in Chūō-ku, Osaka, Japan. The castle is one of Japan's most famous landmarks and it played a major role in the unification of Japan during the sixteenth century of the Azuchi-Momoyama period. Mount Fuji is the highest mountain in Japan at 3,776.24 m (12,389 ft). It is an active stratovolcano that last erupted in 1707–1708. It’s exceptionally symmetrical cone, which is snow-capped for about 5 months a year, is a well-known symbol of Japan and it is frequently depicted in art and photographs in Japan. No description yet. Be the first to describe this spot! The Hakone Ropeway is the name of an aerial lift, as well as its operator. It makes a part of the sightseeing route between Odawara and Lake Ashi. 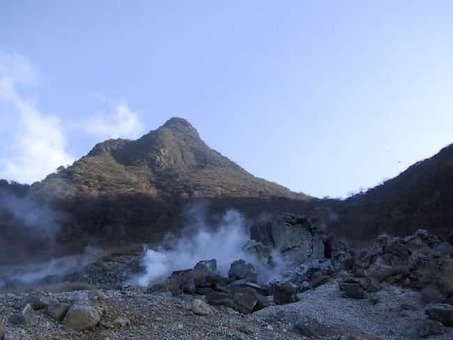 Owakudani is a volcanic valley with active sulfur vents and hot springs in Hakone, Kanagawa Prefecture. It was created around 3000 years ago, as a result of the explosion of the Hakone volcano. It is a popular tourist site for its scenic views, volcanic activity, and local specialty of eggs hard-boiled in the hot springs. Japan's first open-air museum, opened in 1969 in Hakone. It has collections of artworks made by Picasso, Henry Moore, Taro Okamoto, Yasuo Mizui, Churyo Sato, and many others, featuring over a thousand sculptures and works of art. In a city where there are very few buildings older than 50 years because of the wartime bombing, Asakusa has a greater concentration of buildings from the 1950s and 1960s than most other areas in Tokyo do. There are traditional ryokan (guest-houses), homes, and small-scale apartment buildings throughout the district. 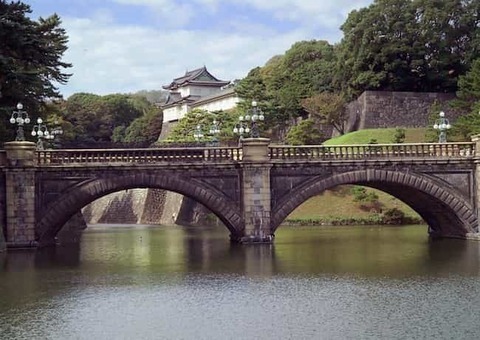 The Tokyo Imperial Palace is the primary residence of the Emperor of Japan. It is built on the site of the old Edo Castle. During the height of the 1980s Japanese property bubble, the palace grounds were valued by some to be more than the value of all of the real estate in the state of California. 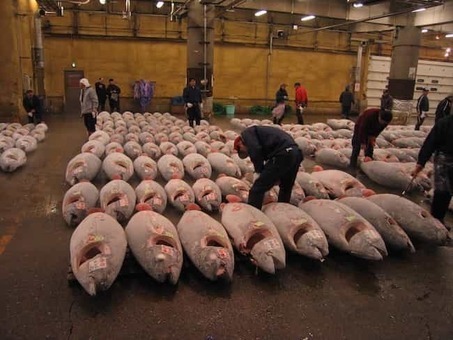 The Tsukiji Market, supervised by the Tokyo Metropolitan Central Wholesale Market of the Tokyo Metropolitan Bureau of Industrial and Labor Affairs, is the biggest wholesale fish and seafood market in the world and also one of the largest wholesale food markets of any kind. Ginza is a popular upscale shopping area of Tokyo, with numerous internationally renowned department stores, boutiques, restaurants and coffeehouses located in its vicinity. It is considered one of the most expensive, elegant, and luxurious streets in the world. 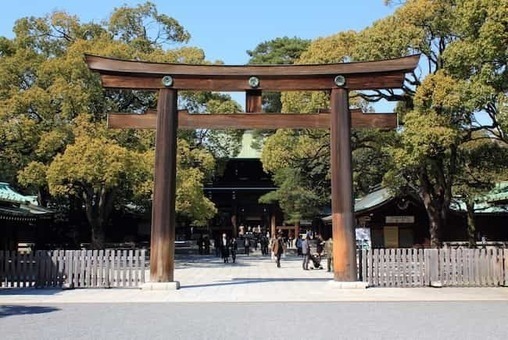 Meiji Shrine is located in a forest that covers an area of 170 acres. 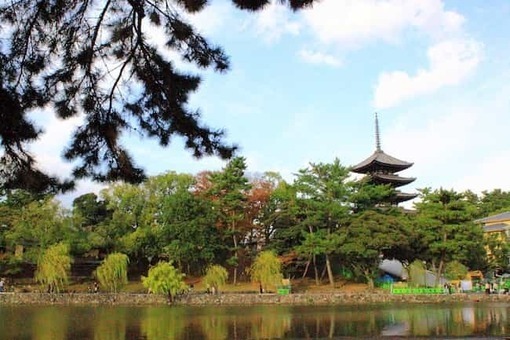 This area is covered by an evergreen forest that consists of 120,000 trees of 365 different species, which were donated by people from all parts of Japan when the shrine was established. The forest is visited by many as a recreation and relaxation area in the center of Tokyo. Opened in August, KAWAII MONSTER CAFE looms five stories over the always-bustling Meiji-Dori street in Harajuku. Sebastian Masuda, a long-time champion of the neighborhood and one of the key architects of kawaii culture today, designed the cafe. Kinkaku-ji ("Temple of the Golden Pavilion"), officially named Rokuon-ji ("Deer Garden Temple"), is a Zen Buddhist temple in Kyoto. 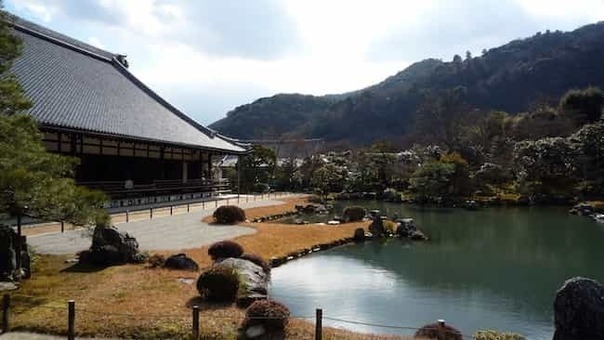 It is designated as a National Special Historic Site and a National Special Landscape, and it is one of 17 locations making up the Historic Monuments of Ancient Kyoto. Arashiyama ( Storm Mountain) is a district on the western outskirts of Kyoto, Japan. 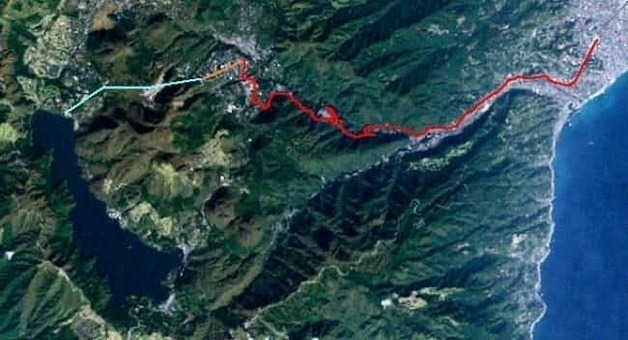 It also refers to the mountain across the Ōi River, which forms a backdrop to the district. Arashiyama is a nationally designated Historic Site and Place of Scenic Beauty. 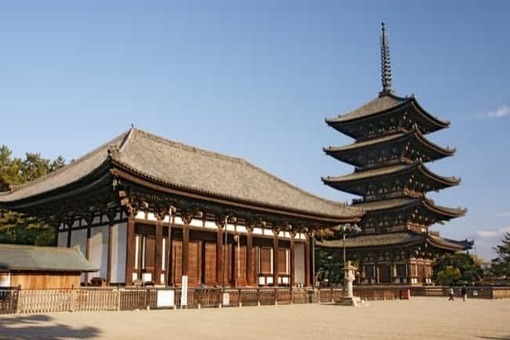 The temple was founded by Ashikaga Takauji in 1339, primarily to venerate Gautama Buddha. Construction was completed in 1345. In 1994, it was registered as a UNESCO World Heritage Site, as part of the "Historic Monuments of Ancient Kyoto". In Japan's Sagano Bamboo Forest, on the outskirts of Kyoto, towering green stalks of the famously versatile plant sway in the wind, creaking eerily they collide and twist, leaves rustling. Iwatayama Monkey Park is a commercial park on Mt Arashiyama. It is inhabited by a troop of over 170 Japanese macaque monkeys. The animals are wild but can be fed food purchased at the site. Gion is a district of Kyoto originally developed in the Sengoku period, in front of Yasaka Shrine (Gion Shrine). The district was built to accommodate the needs of travelers and visitors to the shrine. It eventually evolved to become one of the most exclusive and well-known geisha districts in all of Japan. A tour to remember. We felt we were diving into the cultural heritage of Japan mesmerized by the beauty of the locality. Spots were unique places bustling with the local population. We had a wonderful time! Dotonbori is a canalside entertainment district popular with students and after-work drinkers who pack into small bars and izakaya taverns. Narrow lanes are lit at night by neon billboards, like the iconic Glico running man sign, and lined with street food vendors serving grilled takoyaki octopus balls. Shochikuza Theatre hosts kabuki drama and live music, and Kamigata Ukiyoe Museum shows classic woodblock prints. Akihabara gained the nickname Akihabara Electric Town for being a major shopping center for household electronic goods and the post-war black market. Nowadays, Akihabara is considered by many to be an otaku cultural center and a shopping district for video games, anime, manga, and computer goods. The market is located in Tsukiji in central Tokyo, between the Sumida River and the upmarket Ginza shopping district. While the inner wholesale market has restricted access to visitors, the outer retail market, restaurants, and associated restaurant supply stores remain a major tourist attraction for both domestic and overseas visitors.